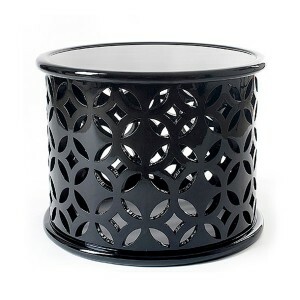 A classically styled statement piece with a contemporary twist, this black aluminium side table adds drama to your décor. 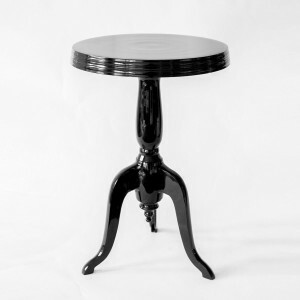 With polished black aluminium sides it stands 55 cm tall and has a width of 63 cm. 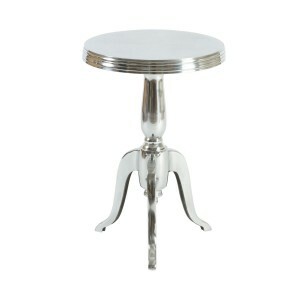 A space saving design with turned detailing and claw legs on the base, this is a fantastic addition to any room. 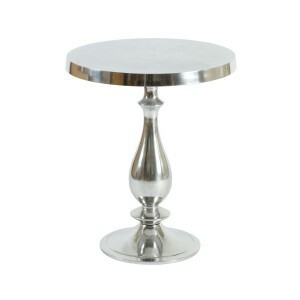 This is an elegant side table to display a lamp or ornament. 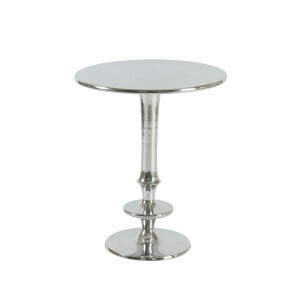 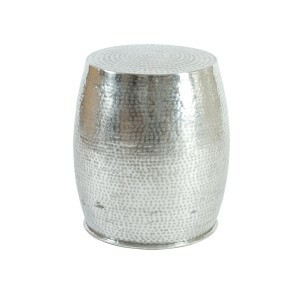 Or use it as an occasional table for drinks and nibbles. 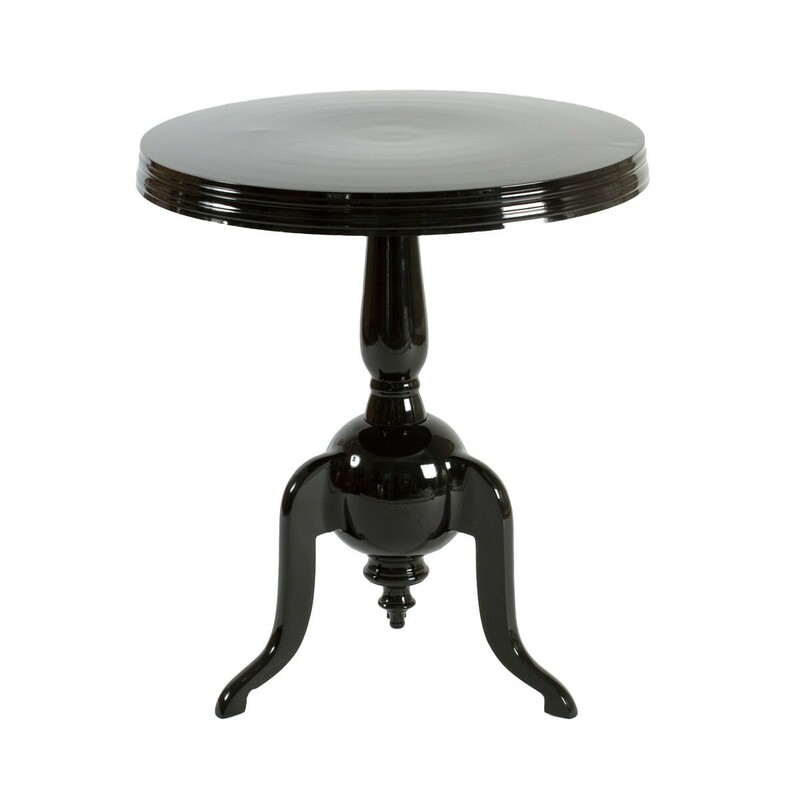 Combining Baroque styling and contemporary materials, this superb design was chosen by our design team for its fine quality and elegant detailing. 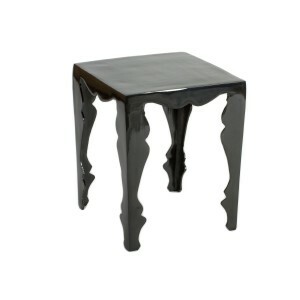 This lovely side table takes up very little room but still creates a bold statement to enhance any room scheme. 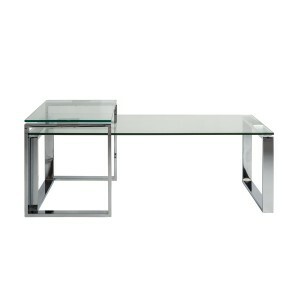 Sleek black aluminium works brilliantly with pales and neutrals. 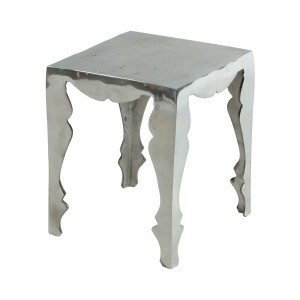 Or be bold and pair this side table with red accessories for a chic eastern flavour. 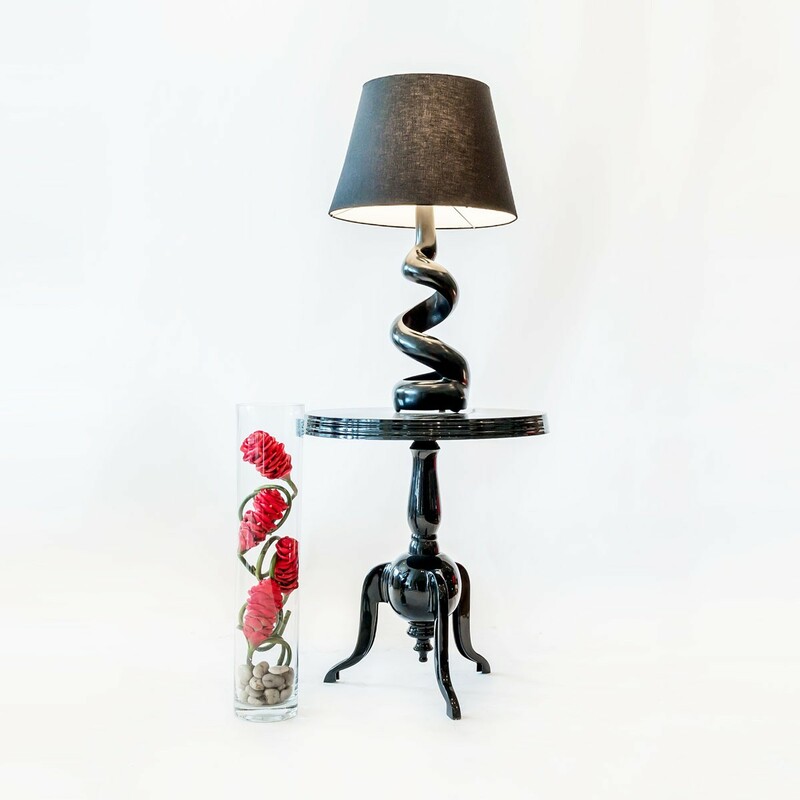 The table makes a great display space for one of Retail Furnishing’s stylish lamps, and at this fantastic price you can buy two to create points of interest on either side of a sofa.